Maegan Beaumont is the author of the award-winning Sabrina Vaughn thriller series. Her debut novel, CARVED IN DARKNESS, was awarded the 2014 gold medal by Independent Publishers for outstanding thriller as well as being named a Forward, book of the year finalist and Debut novel of the year by Suspense Magazine. When she isn’t locked in her office, torturing her protagonists, she’s busy chasing chickens (and kids), hanging laundry and burning dinner. Either way, she is almost always in the company of her seven dogs, her truest and most faithful companions and her almost as faithful husband, Joe. Denise Ganley is a graduate of the Your Novel Year program from Arizona State University’s Piper Center for Creative Writing and has a Certificate in Creative Writing from Phoenix College. 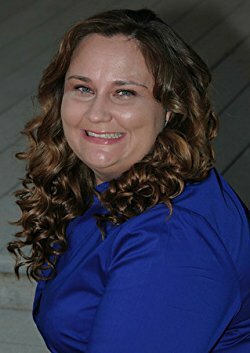 Her supernatural short story “The Relic Expert” placed as a semifinalist in the 2011 Faulkner Wisdom Contest and with Honorable Mention in the Writer’s Digest 80th Annual Writing Competition (Mainstream/Literary Category). Denise loves inclusive, cross-genre stories and is currently hard at work finishing her first novel. 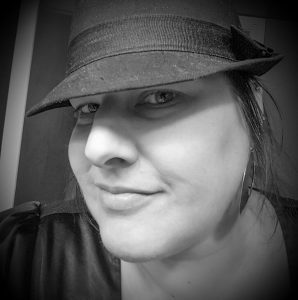 Shannon Baker is the author of the Kate Fox mystery series, Stripped Bare (2016) and Dark Signal (2017) from Tor/Forge. Set in the isolated cattle country of the Nebraska Sandhills, Kirkus says, “Baker serves up a ballsy heroine, a colorful backdrop, and a surprising ending.” She also writes the Nora Abbott mystery series (Midnight Ink), featuring Hopi Indian mysticism and environmental issues. 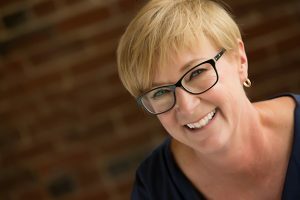 Shannon was voted Rocky Mountain Fiction Writer’s 2014 and 2017 Writer of the Year. 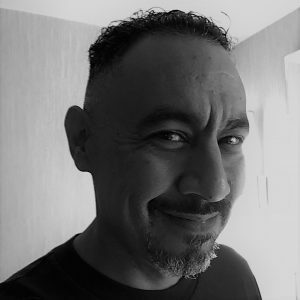 Rick Gonzales served in the USMC with the 2nd Marine Division in Camp Lejeune, NC and with the Marine Aviation Detachment in China Lake, CA. He has a BS in Finance and a background in banking. He works out of Tempe, AZ as an Anti-Money Laundering Investigator for a Japanese-owned bank. Rick loves reading everything but has a special attraction to science-fiction. His super power is he knows everything and his weakness is his affinity for expensive scotch. Rick loves riding his Harley, shooting at the range, upgrading his 4×4, playing World of Warcraft, trading the stock market, drawing, painting, and writing. He has two published short stories in a college anthology. 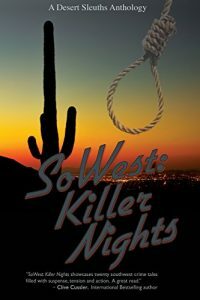 Rick lives in Phoenix and is working on his novel. THE POSITION OF ADVISOR TO THE BOARD OF DIRECTORS IS BY APPOINTMENT ONLY, AFTER SERVING AS A MEMBER OF THE BOARD OF DIRECTORS FOR 5 YEARS. (automatically appointed to the next year’s Board of Directors each year). Email your vote to DesertSleuths@gmail.com. You can simply type in your vote, or scan in your ballot as an attachment. Attend the October Member meeting and receive a ballot to submit there. All ballots due by October 18 by 9pm.